As promised, this post follows my previous blog post on My Favorite Bird to photograph, the pelican. 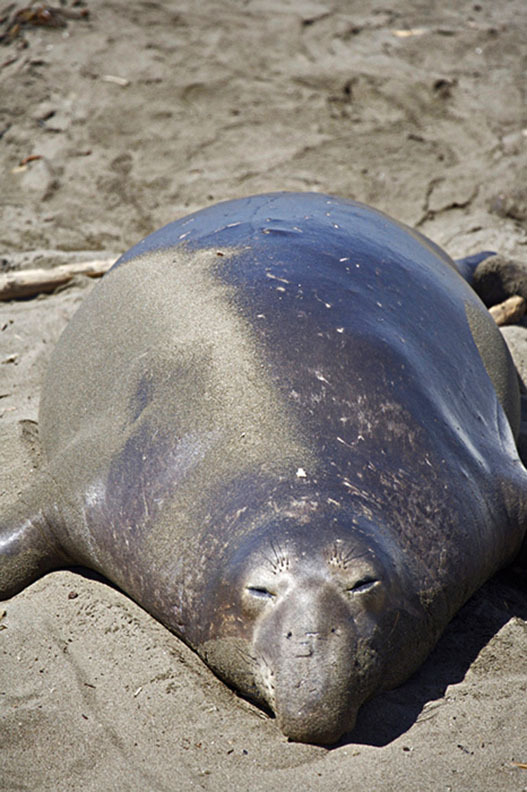 The elephant seal is a lot like the pelican. Doesn’t get much respect and they don’t make very good pets. And probably for good reason. 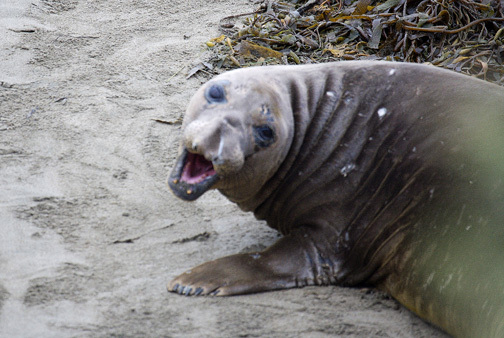 Below are some photos I have taken in the past which provides evidence as to why I find them fun to photograph and why I won’t make an elephant seal a pet of mine. Looks more like a can of sardines. 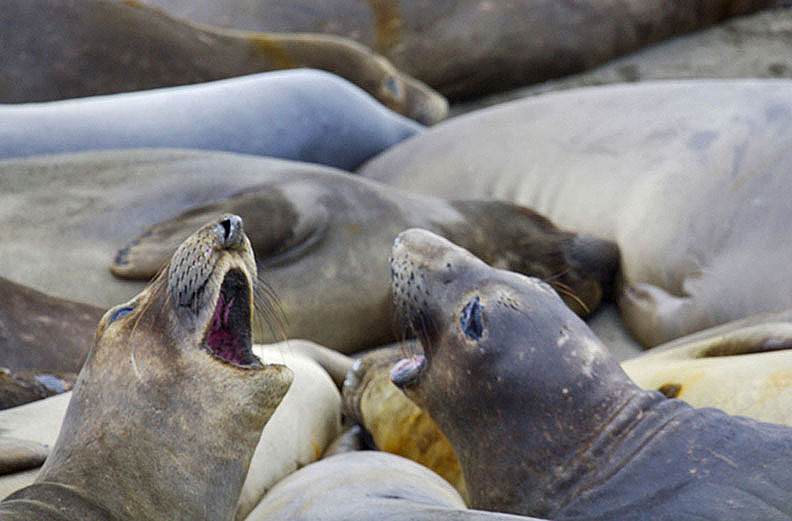 The seal below is one big yawn. Must have just read my blog. They will swim hundreds of miles out to sea for up to 10 months out of the year. No wonder they’re tired. 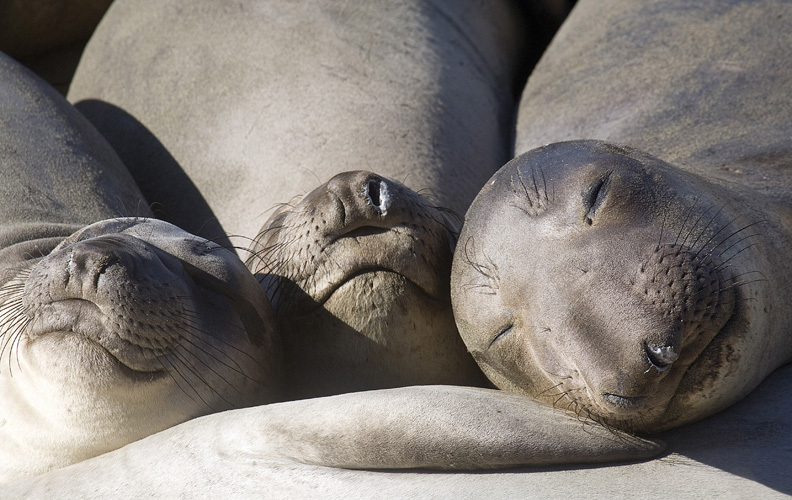 I can only imagine what a snoring seal sounds like. 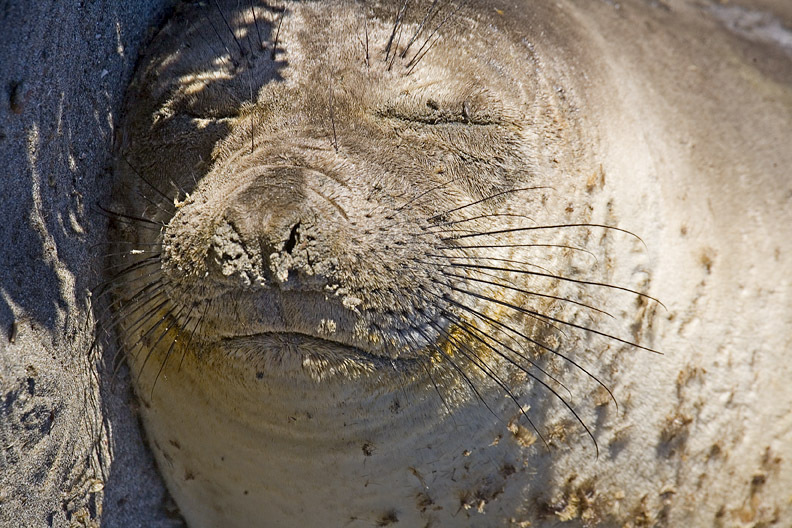 Elephant seals get their names because the males have snouts that resemble an elephant’s large proboscis. 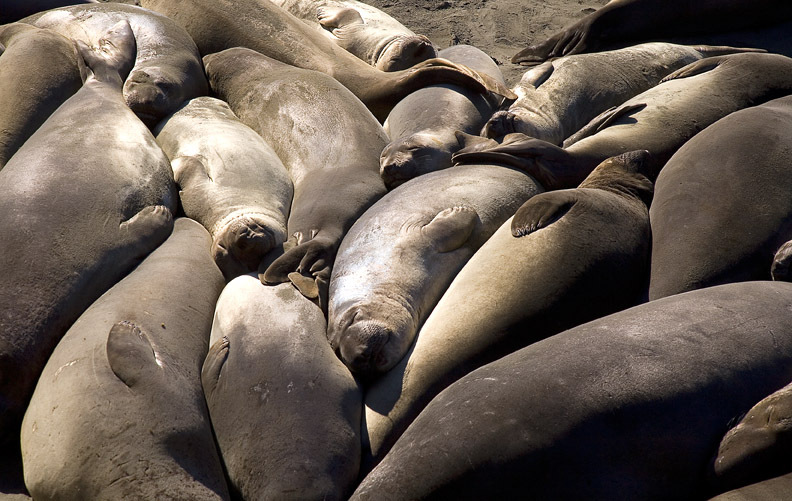 Males grow to a size of approximately 2,500 pounds, so they take up a lot of room, like the one below. This male looks a bit bloated. Probably had a little too much squid. Like humans, they like to vacation at the beach. The one below seems to be adding some sunscreen. Looks like an SPF 30. 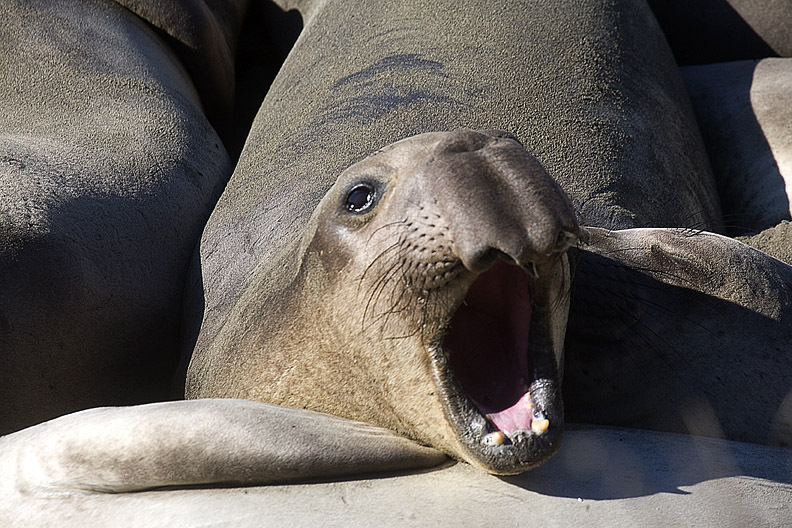 Elephant seals are large and not very nimble. But the one below would beg to differ. That’s some flexibility. I tried this myself but ended up in traction. Like the pelican, they can change their appearance. The one below looks like a medieval gargoyle that changes color. Not sure if he likes his picture taken. 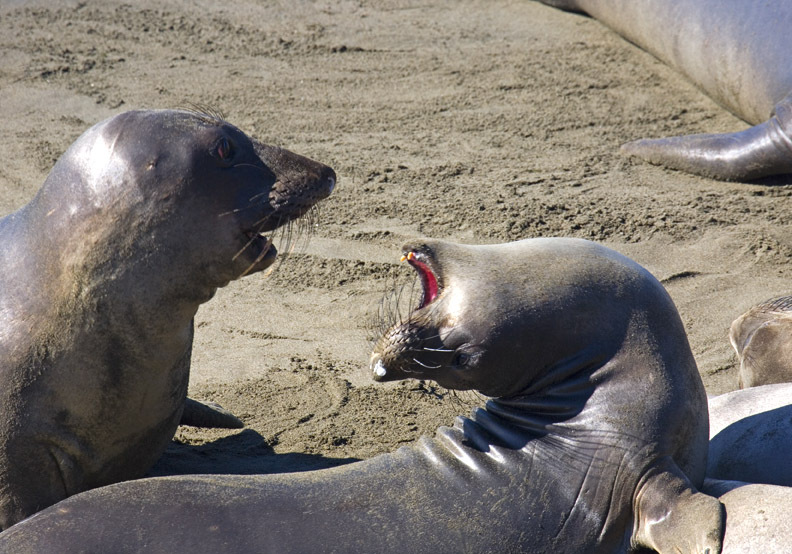 The elephant seals are highly sociable. Kind of like sailors coming in from the sea. And what do sailors do? They sing! Quiet, the others are trying to get some sleep. 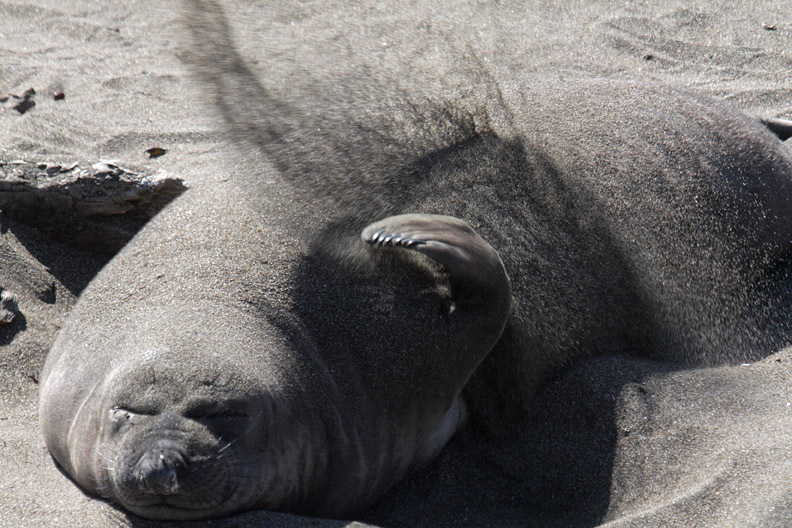 I sometimes wish I was an elephant seal! Not a bad life.